JUNE 28, 2017 was a night One Mile State School principal Stuart Bell will never forget, and for the worst possible reasons. 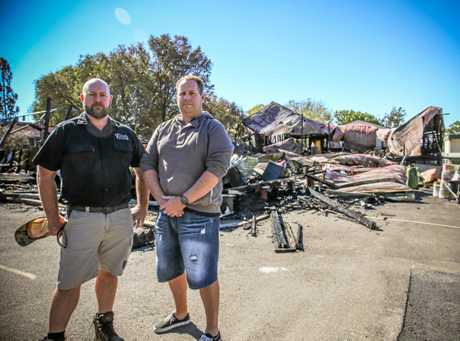 Just as he was going to bed around midnight, an unexpected call from his supervisor Janelle Reid revealed a disaster entering its most destructive stages. 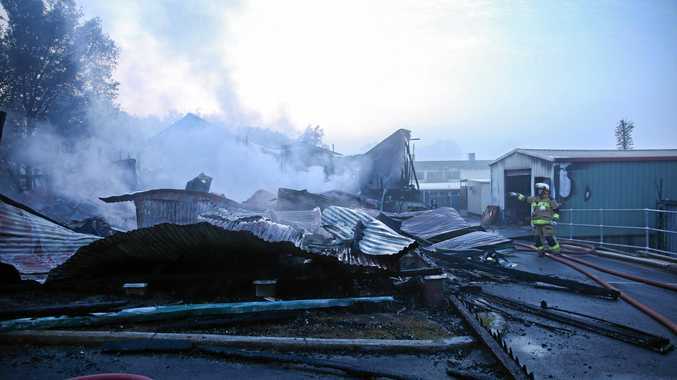 A devastating fire was tearing through the C Block classroom, leaving utter ruin in its wake. Reflecting on the most trying time of his career just over a year on, Mr Bell said the blaze was unlike anything he had encountered. "At first I thought, 'why am I getting called on the holidays? '," he said. "The first thing (Janelle) said was 'One Mile is on fire', so I came straight down and saw that the block was still on fire and the fire crews were here putting it out. "Throughout the (next) day ... I had calls from everyone up the Education Minister asking how they could help, and by the end of the day we had the temporary plan sorted to get the demountable (classroom) in. "I've been at schools where there's been floods come into the school grounds, but for it to be something so unexpected and to have the effect that it had, I haven't experienced anything like that. "Fingers crossed I don't have to go through it again." 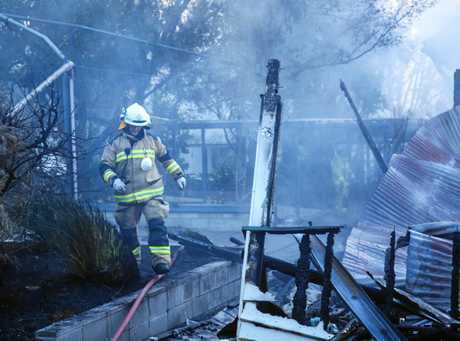 The fire's aftermath left a long and often frustrating road to recovery for all involved. The school's power and water supply - which previously ran under the mangled building - caused lengthy disruptions, and the presence of asbestos meant workers had to be off site while the charred remains were removed. 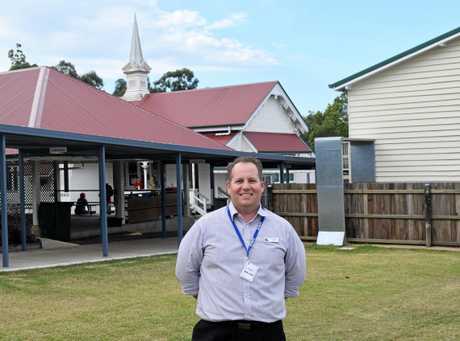 Mr Bell said a silver lining was provided largely by Gympie's strong sense of community. 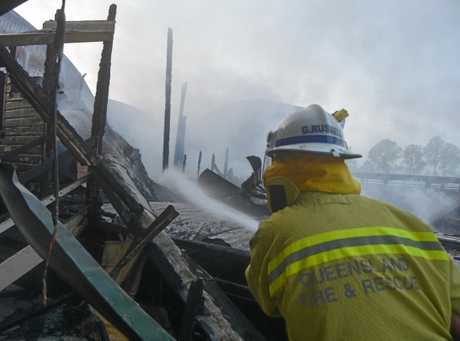 Further to the tireless efforts of fire crews and the school's P&C, led by president Malcolm Dodt, Mr Bell was blown away by the help from Gympie schools and local businesses. "The majority of schools had a free dress day to raise funds for the school. "The amount of support from pretty much every level of the education department was great, you never felt like it was just us and we had to deal with it, there was always that support," he said. "(It was) not only the state schools, we had offers from St Patrick's College and Victory College too. 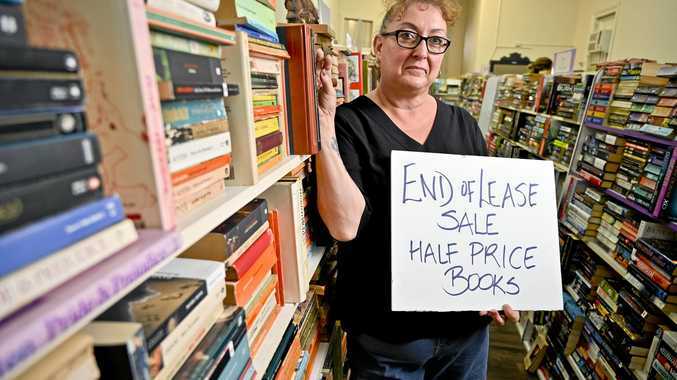 "All the businesses asking how they could help and the support from the whole community... was outstanding, it would've been a lot harder without it. "There's something unique about Gympie." As One Mile prepares for a historic 150th anniversary next year, plans to rebuild continue to progress. Mr Bell said the redevelopment projects would provide "permanent solutions" when they come to fruition. "It's all part of the process that's still going and hopefully it gets wrapped up as soon as possible, but of course we want to make sure it all goes the way we want," Mr Bell said. "It's been tough, but everyone's banded together to get through."